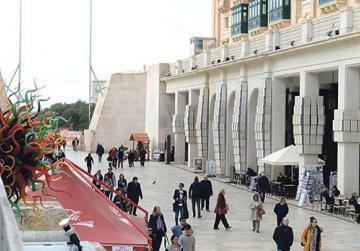 Which Valletta 2018 projects will be ready in time? As Valletta prepares to take on the mantle of European Capital of Culture, many of the project’s much-publicised infrastructure projects have been revealed but others will have to wait a while longer. At the entrance to the city, the restored Triton Fountain and the new pedestrianised square replacing the old bus terminus is all but ready to go ahead of the official January 20 opening ceremony, with workers putting the finishing touches on the €4 million restoration project. A few steps away, however, the City Gate ditch – earmarked for transformation into a public garden by the end of 2017 – remains a construction site, shielded from the sight of visitors on the bridge by a V18 banner. The façade of the magnificent Palazzo Ferreria, close to the entrance, has been revealed after an extensive restoration project, complementing completed embellishment works on the nearby Freedom Square arcade and other palaces around the city as well as the renovated Manoel Theatre. 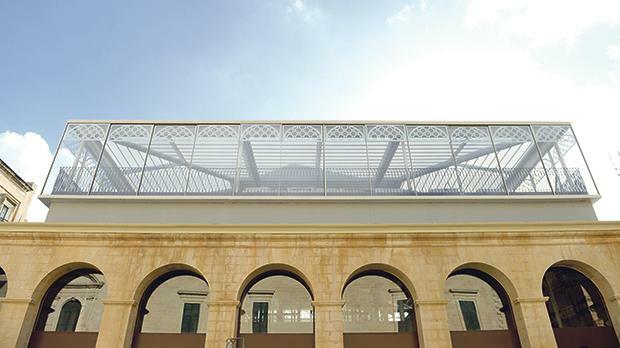 The revamped Valletta market (Is-Suq tal-Belt), another high-profile project, is ready to open its doors tomorrow, its original architecture restored and the space transformed into a new food market, with eateries and an area for the sale of fresh produce. 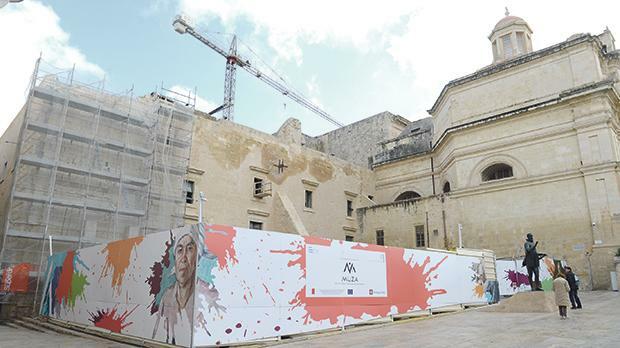 There will be a longer wait for some of the other flagship projects, such as the new fine arts museum, Muża, in De Valette Square. The museum, billed as a first-of-its-kind “national community art museum”, is still under construction and is planned to open in May 2018. 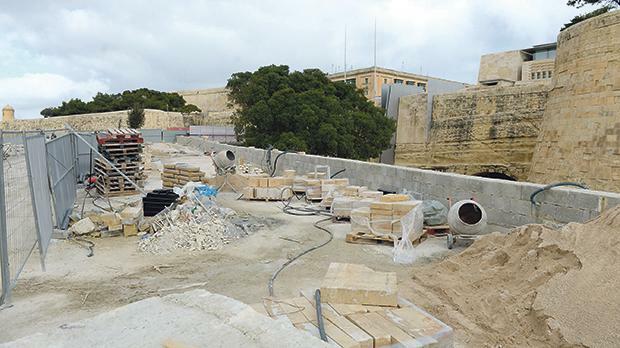 It will take even longer for the opening of the Valletta Design Cluster, an international design hub taking shape within the dilapidated Old Civil Abattoir(Il-Biċċerija), which is targeted for completion by October. 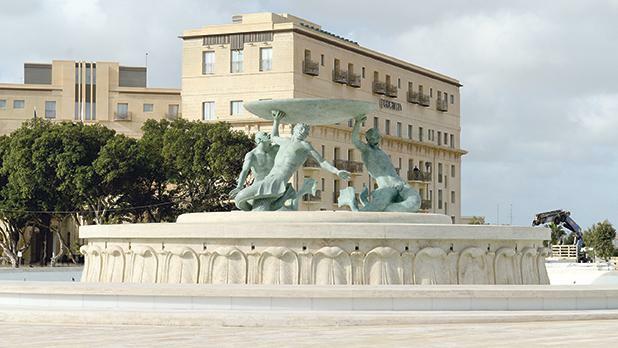 Culture Minister Owen Bonnici said in July that more than €1.3 million had been spent on infrastructure projects around Valletta in the run up to V18, out of a total spend of €11 million. 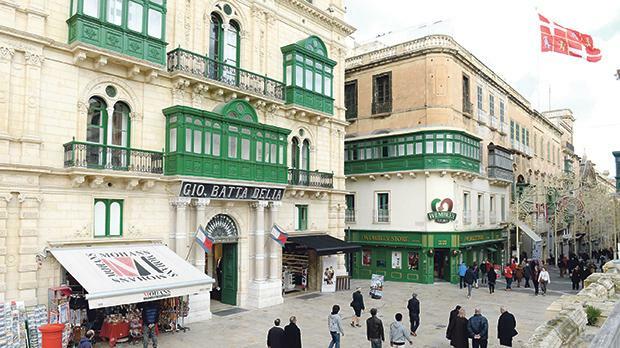 Other ongoing projects, including Muża, the Grand Master’s Palace and the Manoel Theatre, were valued at €19 million. The cultural programme, which kicks off on January 20, includes more than 140 projects and 400 events featuring about 1,000 local and international artists over 12 months.